The Canon EOS RP offers a LOT of bang for the buck, with great image quality from the 26mp full-frame sensor, packed in to a compact camera body. The camera offers 4K video recording, and is priced very competitively. We'd say it's definitely going to be a winner, as long as you can find the right lens to suit your budget and needs. The Canon EOS RP is Canon's entry level full-frame mirrorless camera, joining the EOS R, the EOS RP offers a 26.2mp full-frame sensor. The camera body is weather-sealed, and comes with a 2.36million dot electronic viewfinder (EVF), and a 3inch touch-screen with 1million dot resolution. The camera offers 5fps continuous shooting (fixed focus), or 4fps with continuous AF. The camera has a much more wallet friendly price of £1399 body only (with EF adapter included). 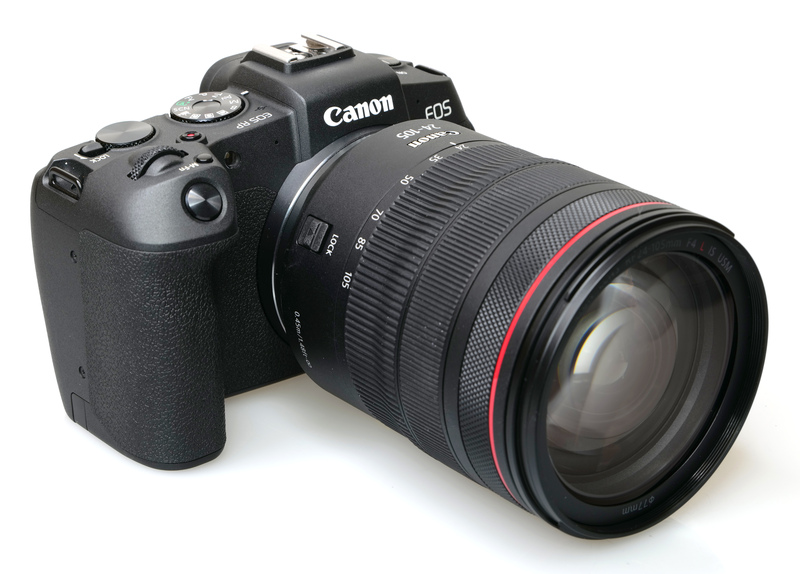 The Canon EOS RP uses a 26.2mp full-frame CMOS sensor, almost identical to the one found in the Canon EOS 6D Mark II (£1349 body only), with Dual Pixel CMOS AF, phase detection system, and AF down to -5EV. There's face and eye-detection AF, with the camera offering a whopping 4779 AF points, covers 88% horizontal and 100% vertical. The ISO range goes up to ISO102400. Compatible with EF and EF-S lenses with an adapter, of which there are three available. 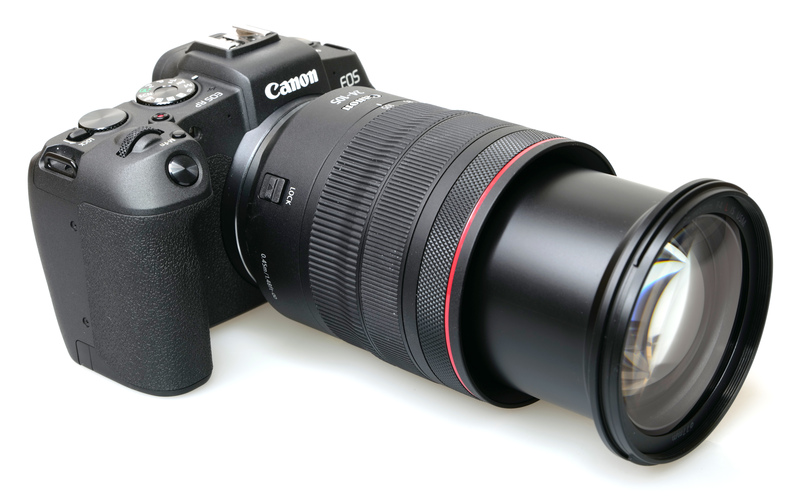 There's also an optional EG-E1 grip, available for around £85, which adds to the size of the camera. "Corrects both optical aberrations and any loss of resolution caused by the camera’s low pass filter by applying an inverse function to each shot to take the image nearer to how the scene appears to the naked eye. 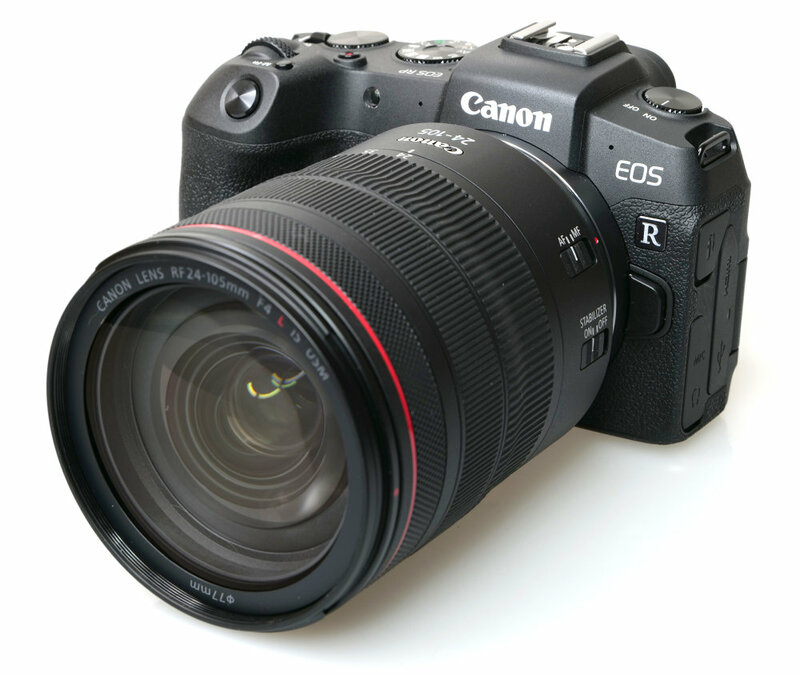 The Canon EOS RP is able to access lens profile information directly from RF lenses and use it in-camera for real time optimisation as soon as you take the picture." - from Canon. "5-axis stabilisation and Dual Sensing IS provide powerful stabilisation for your shots, reducing image shake, allowing you the freedom to create without compromising on quality. This dual system sees the lens and camera working together in real-time for stability (dual sensing) through the communication system in the lens mount." - from Canon. The EOS RP camera has P, A, S, M shooting modes, giving you manual controls. You have the choice of standard Canon raw images, or Canon's new "compact raw" (CR3, 14-bit) images letting you fit more photos on your memory card. Introduced with the EOS R, is an Fv mode (Flexible Priority AE) that lets you adjust settings, as well as quickly switch back to auto settings. There are a number of scene modes, including a silent scene mode, letting you shoot with an electronic shutter. There's a handheld night scene mode, plus an HDR backlight control mode taking 3 shots and merging them in camera. A+ (Scene Intelligent Auto) mode - here you'll also find a "Creative Assist button" with different colour options, as well as assistance with background blur, brightness, contrast, saturation and other colour options. 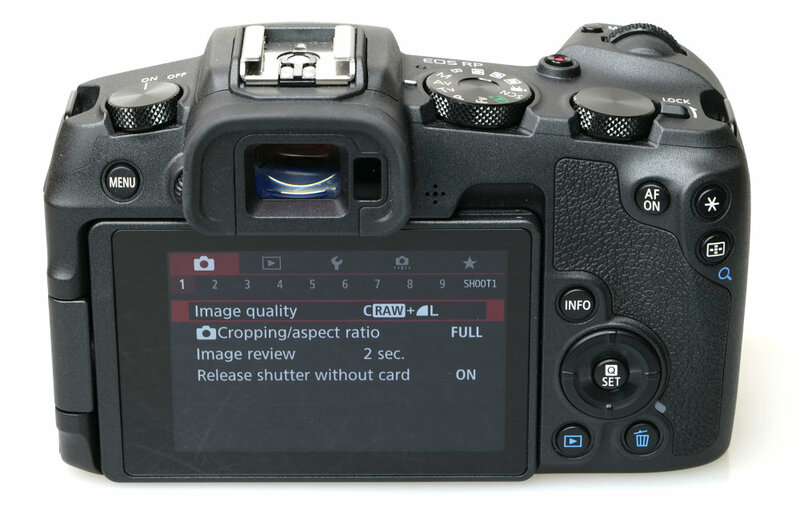 There are 3 custom modes on the mode dial, and in-camera raw editing. Wi-Fi and Bluetooth are built-in, and let you remotely control the camera as well as transfer images. You can also get GPS information from your smartphone to add this to your photos. As you would expect with a new camera released in 2019, 4K video recording is available, and options include 4K UHD video recording, up to 25fps, ISO up to ISO12800 / or ISO25600 for FullHD. You can also take 8mp stills from video. There's a 4K timelapse video option, and FullHD can be recorded at 60fps. Digital IS is also available giving 5-axis stabilisation, and this adds additional crop in to the frame. Handling - The Canon EOS RP looks like a slightly smaller DSLR, and this makes it a nice size, with the camera fitting nicely in the hand. The controls and buttons on the camera are straightforward, and offer an easy to use layout, being far more conservative when compared to the EOS R. The RP has a real mode dial (unlike the R) for example. Pressing the M-Fn button you can get quick access to ISO, or you can use the command dial on the lens. The rear dial lets you adjust exposure compensation (on default settings, in P, Tv, Av modes). Unfortunately the 4-way controller doesn't offer quick access to settings (although this can be customised in Custom settings). The Q-button gives quick access to settings on the screen, and you can use the touch-screen or the 4-way controller to change settings. The shutter release button is at a steep angle which can take some time to get used to. Behind this is a command dial, and the position of this also can take a while to get used to. The camera body is said to offer weather sealing but from looking at the camera it is clear it does not offer as much weather sealing as others, and there is no rubber gasket around the battery compartment. There is a rubber seal around the rear of the 24-105mm f/4 lens but there is none on the 35mm f/1.8 Macro lens. We'd therefore recommend care is taken in poor weather conditions. The build quality appears to be good, with a tough plastic body. There's ample rubber grip around the handgrip at the front, with more rubber at the back for you thumb. There's even some on the left around the ports, which include a mic, headphone socket, as well as remote release socket (2.5mm jack), there's also a USB Type C connection, and HDMI. 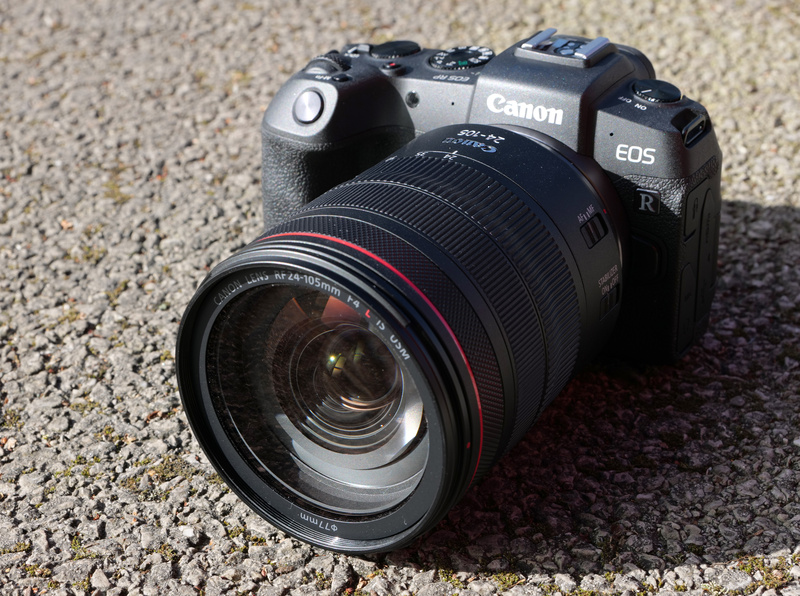 The Canon EOS RP isn't tall enough for some of the lenses on offer, so for example, the Canon RF 24-105mm f/4 lens extends beyond the bottom of the camera body, making it difficult to place down on a flat surface. The lens you use with the camera can make a big difference to how the camera feels to use, with the 35mm f/1.8 Macro lens being a nice size for the camera body - the EOS RP body weighs 485g with memory card and battery. The camera and 35mm lens combination makes a neat unit, that is easy to handle and isn't too big or too heavy. However, putting the 24-105mm f/4 lens on the camera changes things quite noticeably, with the lens being heavier than the camera, at 700g. There are over 4000 focus points, 4779 to be exact! Giving wide coverage of the frame (88% horizontal, 100% vertical). Focus is said to work down to -5EV. You can customise focus options, as well as use touch and drag AF. Further focus options can be found in the custom menus, including tacking sensitivity, accel./decel. tracking, AF point auto switching. These are fairly well hidden, and can make changing these settings more difficult than necessary. Other settings are also fairly well hidden in the custom menus, including customisation of buttons. The rubber surround around the electronic viewfinder (EVF) isn't particularly soft, but is adequate. There's an eye-detection sensor so the camera will automatically switch between the EVF and screen. On the left is dioptre correction. There is minimal difference in the displays between the EVF and screen, although if we are being critical, we'd say that the view through the EVF is slightly warmer in tone. The screen looks great, as long as you've not covered it in fingerprints, when using the touch-screen. The touch-screen is responsive and sensitive to your touch. Menus – The menus are quite clearly and logically laid out, apart from the Custom Menus which (try to) hide a lot of settings. These could easily be made more readily accessible. The camera features a "MyMenu" section where you can add your favourite settings. You can use the touch-screen to scroll through the options and change settings. 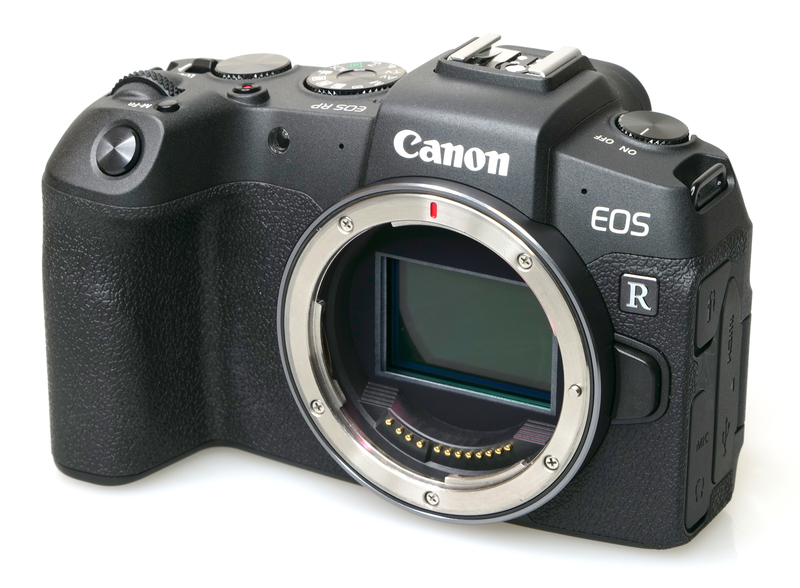 The menus feature colour coding, and the layout follows the same order as other Canon EOS cameras, so should be very familiar for anyone who has used other Canon cameras. There's built-in help, which makes it easier to understand the options and settings available. Battery life - Battery life is rated at 250 shots according to Canon/ CIPA test results, which is poor for a mirrorless class of camera - therefore we would recommend a spare battery if you plan on shooting more. The camera also gives little warning about when it's going to run out, so you'll end up seeing the red battery warning seemingly quite suddently. The remaining battery life is not shown as a percentage, for this you'll need to look at the EOS R. Switching on the ECO mode will extend battery life. range; with lovely smooth quality in the ISO tests up to at least 1600 or more ? If one camera ever fired my enthusiasm above all others, it's this wonderful piece of kit !! You don't consider silent shooting mode being a dedicated shooting mode with no manual controls a negative ? Tell that to the birds. Obviously you don't want to be seen doing a dis-favour. Hi Steve, good point, added as a negative. 4k is also as much a negative as a positive. You're getting a [Canon] APSc crop which means the quality will be no better than the smaller format and will be [very] difficult to shoot even moderately wide. 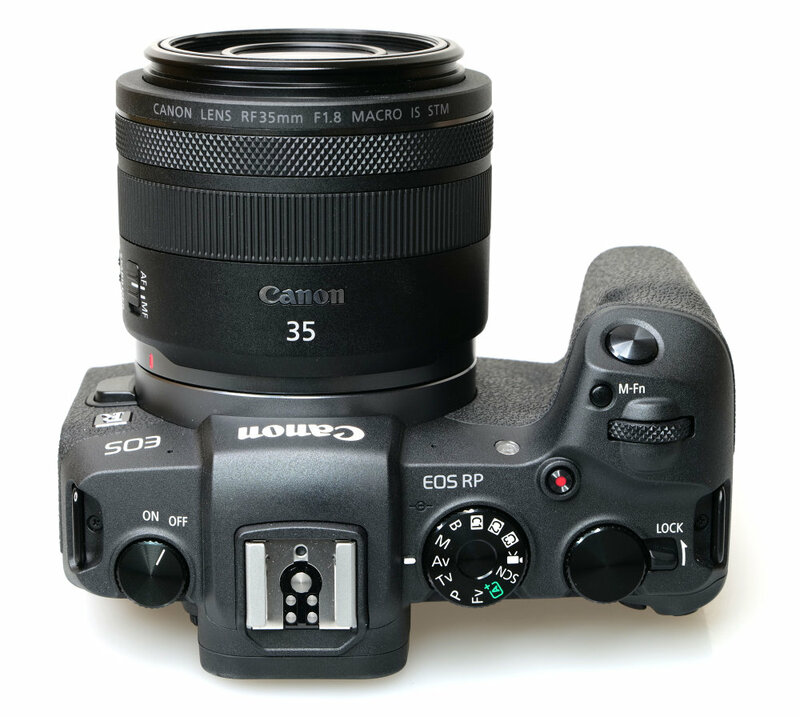 This is however a problem that seems common with Canon 35mm format cameras. It's a shame because by all accounts the dual pixel AF is among the best for video AF. So I don't think the crop is a deliberate hobbling of the camera. You do expect them to cut corners at the price point, but their habit of deliberately restricting some shooting parameters is frustrating. This should have been a camera I might consider as I'd be able to get some extra use out of my L lenses. But personally I think at the Sony A7RII, which you can now pick up for around this price point, is vastly superior in almost every way. 4k is also as much a negative as a positive. You're getting a [Canon] APSc crop which means the quality will be no better than the smaller format and will be [very] difficult to shoot even moderately wide. 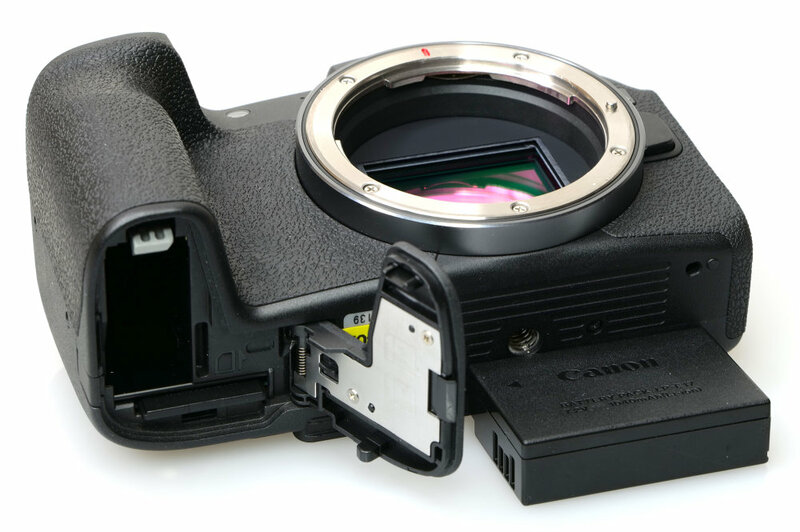 This is however a problem that seems common with Canon 35mm format cameras. It's a shame because by all accounts the dual pixel AF is among the best for video AF. So I don't think the crop is a deliberate hobbling of the camera. You do expect them to cut corners at the price point, but their habit of deliberately restricting some shooting parameters is frustrating. This should have been a camera I might consider as I'd be able to get some extra use out of my L lenses. But personally I think at the Sony A7RII, which you can now pick up for around this price point, is vastly superior in almost every way.